Kem Krest is a certified Minority Owned Business (MBE) that provides Total Program Management through our Supply Chain, Aftersales, Chemical Packaging and Fulfillment Solutions. We manage and market customer branded parts, chemicals and accessories on behalf of OEMs within the Automotive, Agricultural/Industrial, Powersports, and Defense industries. So, exactly what is Total Program Management? Our Supply Chain specialists manage your products and suppliers, ensuring on-time delivery to your dealers or distributors. Our experienced Kem Krest associates are experts at providing true “turn key” chemical packaging services for private label, retail or OEM aftermarket industries. 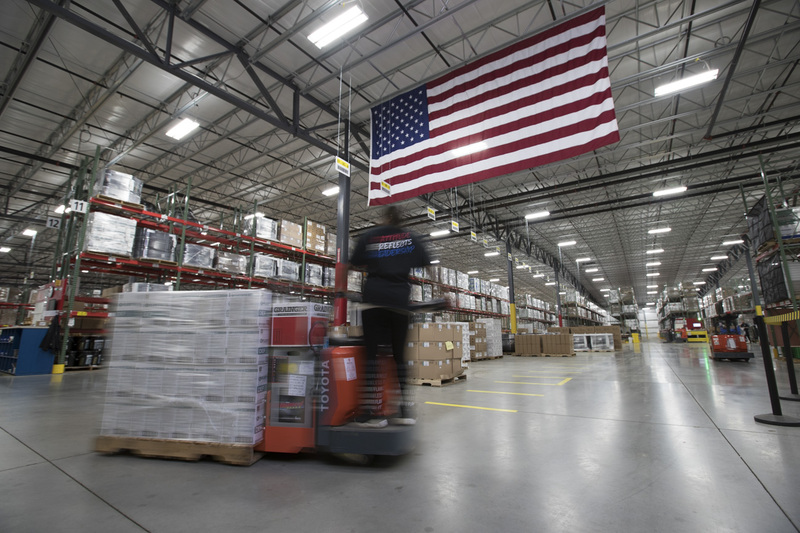 Our Fulfillment Solutions team members ensure prompt delivery to your end customer through multiple distribution points and cost effective solutions to warehousing, kitting and pick & pack shipping. Our diverse, talented and passionate staff have shaped the culture of Kem Krest. It is our goal to leave a positive, lasting impact on those that we come in contact with. To preserve our culture, we have distilled the key principles through our Mission Statement, Core Values and Focused Priorities. We use these to help guide our actions, decisions and our recruiting efforts. Along with a great work environment come great benefits like college or trade school reimbursement. please check out our career opportunities. Learn more about Who We Are at Kem Krest! A core value of Kem Krest is Impact. We strive to make a positive impact for our customers, associates, and our community. Through volunteer committees, Kem Krest associates have spearheaded initiatives and made great progress on areas we are passionate about. Find out how our Impact makes a difference in our communities. Kem Krest associates making an impact in our communities.